photos courtesy of Luke Calver. 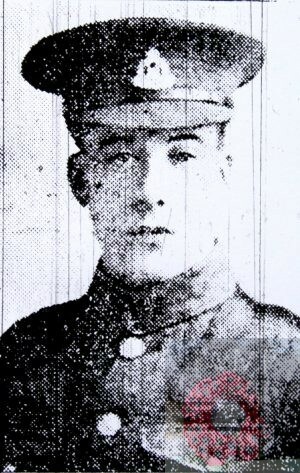 Died: 17th June 1916; age 24; KiA by a shell. Residence: 299, Bramford Road, Ipswich. Previously wounded in the thigh. Rank: Private; Service Number: 1339. Relatives Notified & Address: Brother of Mr. J.H. Burrows, of 15, Prospect Street, Ipswich. Squire Burrows, 39, a Bricklayer, born Witham, Essex. Louisa Burrows (nee Roper), 37, born Ipswich. James Hector Burrows, 17, an Apprentice Bricklayer, born Ipswich. William Burrows, 15, an Apprentice Bricklayer, born Ipswich. Beatrice Emma Burrows, 14, born Ipswich. Hannah Agnes Burrows, 13, born Ipswich. Charles Victor Burrows, 7, born Ipswich. 1911 31, Surrey Road, Ipswich. 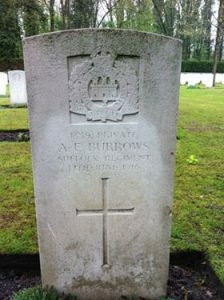 Albert was 19 years old, a Bricklayer’s Labourer. He was living with his widowed father & siblings. Squire, 50, a Bricklayer – Builder. William, 26, a Bricklayer’s Labourer. Charles, 17, an Errand Boy – Grocer’s. Louisa Susannah Burrows, 9, born Felixstowe, Suffolk. Albert’s mother Louisa Burrows, died 1909, Ipswich. 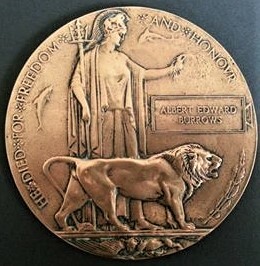 His father Squire Burrows, died 1917, Ipswich. 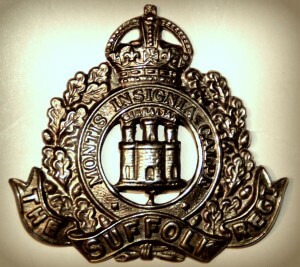 Soldiers’ Effects to Squire Burrows – father, and James Burrows – brother.